Millions of Americans have suffered a heart attack at some point in their lives. Care options and recovery following a heart attack can seem overwhelming to those who just suffered, or watched their loved one suffer, a heart attack. By the end of this article, you will have a much better idea of the recovery options available following a heart attack. In medical terms, a heart attack is known as an acute myocardial infarction. A heart attack occurs when the heart does not get the supply of rich blood it needs due to a blood clot blockage of the coronary artery. The coronary arteries are blood vessels that surround the heart and supply it with oxygenated blood. These arteries can become clogged and hardened with a buildup of cholesterol and fatty deposits in a process known as atherosclerosis. Over time, atherosclerosis can lead to a complete blood clot blockage of the coronary arteries, stopping the flow of blood to the heart causing a heart attack, or acute myocardial infarction. Atherosclerosis can also cause a blockage of the blood flow to the heart due to clotting. When a section of the plaque buildup in the artery breaks, the blood forms a clot around the break. This blood clot blocks the flow of blood to the heart leading to cardiac arrest. Chest pain or discomfort - Chest pain (known as angina) that continues for several minutes or more, may be a sign of heart attack. This discomfort may cause an individual to a feel dull pressure, throbbing, swelling, squeezing, or other painful sensation in the chest. This is the most common symptom of a heart attack. Shortness of breath - A person who is experiencing trouble catching their breath, or whose breathing has become labored may be having a heart attack. Women are slightly more likely to experience this symptom than men. Pain throughout the upper body - Pain from a heart attack may be felt in the jaw, neck, arms, back, or stomach. Jaw and stomach pain are more commonly felt by women experiencing a heart attack. Lightheadedness, sweating, nausea, or vomiting - As with shortness of breath, jaw pain, and stomach pain, this symptom is most often reported by women who have experienced a heart attack. Other symptoms may include a rapid or irregular pulse, unusual fatigue, indigestion, and anxiety. Some people experiencing a heart attack may feel all of these common symptoms while others may not feel any of them. A heart attack with no symptoms felt is known as a “silent heart attack” and is more common among women and people with diabetes. The symptoms of a silent heart attack may start out mild with many patients initially believing they are experiencing heartburn until symptoms progressively get more intense and painful. If an individual is experiencing any of the above symptoms and believes they are having a heart attack, they should immediately call 911. An individual having a heart attack will need to be treated at a hospital. The faster treatment begins, the greater the chance there is of a successful recovery. At the hospital, tests such as blood draws and EKG monitoring will be performed to determine that an individual is having a heart attack, how severe the heart attack is, and what type of heart attack it is. Treatments may include thrombolytic therapy, which involves a declotting agent being injected into a patient’s bloodstream to restore the blood flow to the heart by dissolving the blood clot, or surgery such as coronary artery bypass graft surgery which restructures the clogged arteries to improve the flow of blood to the heart. After a heart attack, a patient will generally not require any kind of special equipment. Daily tasks such as getting in and out of bed, walking, personal hygiene, bathroom use, and grooming should all be done with as much independence as possible. However, there will be a number of other care needs including medication administration, physician appointments, and cardiac rehabilitation that will need to be managed. This can be very overwhelming for some individuals and they may require assistance adjusting to cardiac rehabilitation and their new lifestyle. Depression may make it difficult to perform activities of daily living (ADLs) and may cause an individual to not follow their care plan. After an individual has a heart attack, their doctor will encourage them to be as active and independent as possible. Physical activity after a heart attack is vital for strengthening the heart muscle and returning to full health. In most cases, a doctor will prescribe a program of physical activity that is an increase over the amount of activity a patient was engaging in regularly prior to the event. An individual’s medications may change several times throughout their recovery as the doctor monitors their heart and their progress. It is important to take medications exactly as prescribed following a heart attack event and to keep all scheduled doctor’s appointments to ensure any medication being taken is the safest and most appropriate medication. This is especially important because around 20% of heart attack patients over 45 years old who have experienced one heart attack will experience a second one. Heart attack patients who have had a heart attack will be often be referred to cardiac rehabilitation programs. At these programs, an individual will be guided through learning a new lifestyle. Professionals at these programs will help the individual develop an exercise plan, manage their diet, and control any other lifestyle factors such as stress. These programs are often held in outpatient hospital settings or a physician’s office. During the program, an individual may do supervised exercises and learn new ones. This exercise will likely be done about three times a week and staff will work with an individual at their fitness level. Medical evaluations such as heart monitoring will also be done to ensure the participant is recovering well and that that the exercises are appropriate for them. In addition, counseling sessions on nutrition and stress are part of the program. Cardiac rehabilitation programs are covered by Medicare and most other insurances although there may be a copay. Cardiac rehabilitation programs generally last about 12 weeks and include 36 sessions. Eating more fruits and vegetables. It is recommended that at least half of an individual’s food on a heart-healthy diet be fruits and vegetables. Eating more whole grains. Whole grains include foods such as whole wheat, brown rice, barley wild rice, whole oats, oatmeal, and popcorn. Whole grains are high in fiber and other nutrients which makes them an important part of heart health. Eating less refined grains. Refined grains are food such as noodles, white bread, cakes, pancakes, waffles, cookies, white rice, bagels, English muffins, and biscuits. Refined grains have been milled, or refined, to make them finer and improve their shelf life. This process also strips them of many of the nutrients often found in whole grains. Eating more fish. Fish, especially if it is high in omega-3 fatty acids, can have a variety of heart benefits including reducing blood pressure, slowing the hardening of the coronary arteries, and decreasing the risk of serious arrhythmias (abnormal heartbeats). Eating more skinless meats such as chicken. Lean, skinless meats are a good source of protein and have less fat and less cholesterol than red meats such as beef. Eating more beans, nuts, and other non-meat proteins. Foods such as beans, nuts, soy, and tofu can provide protein without any cholesterol. Eating more low-fat or nonfat dairy. Food such as skim or low-percent-fat milk, low-fat or nonfat yogurts, low or reduced-fat cheeses, and other low-fat dairy products are an important part of a heart-healthy diet. The American Heart Association recommends that seniors eat 4 servings of low or nonfat dairy foods a day. Eating more healthy fats. Oils such as olive and canola and foods such as olives, avocados, and nuts are high in healthy monounsaturated fats. Oils such as soybean and flax and foods such as fish and sunflower seeds are high in healthy polyunsaturated fats. Foods containing polyunsaturated fats are high Omega-3 and Omega-6 fats which provide a variety of heart-healthy benefits. Eat less unhealthy fats. Foods such as full-fat dairy and red meat contain saturated fat which should be limited. Foods such as margarine and shortening that contain trans fats should be avoided completely. Eat less sugar, especially added sugars. Added sugars are found in food such as soft drinks, fruit drinks, some desserts, and candies. These added sugars are linked to a higher risk of heart disease. Eating less salt. Foods high in salt can increase blood pressure which can increase the risk of a second heart attack. Reading nutrition labels is important when an individual is starting a heart-healthy diet. Many heart-healthy foods that have been approved by the American Heart Association are marked with a check symbol on the package. After a heart attack, a patient may be given a workbook, a link to a website, or a cell phone application to track what they are eating and ensure they are meeting the goals for their new diet. While recovery times may vary if a patient requires surgery to treat their heart attack, generally, a patient will be able to independently complete most of their activities of daily living (ADLs) such as bathing and dressing right away. An individual may need to approach these activities more slowly than they are used to and take their time while allowing ample breaks for rest if needed. Even if the completion of ADLs requires more time and effort than it did prior to the heart attack, completing tasks independently is an important part of recovery. How will the individual’s transportation be handled? If the individual cannot drive on their own and does not live with someone who will be able to drive them to cardiac rehabilitation and other appointments, transportation may need to be arranged. Is the individual able to cook for themselves? Since dietary changes are such an important part of recovery after a heart attack, it is important to consider a person’s ability to cook for themselves. If they were previously relying on fast food or other restaurant options, they will no longer be able to do so. If an individual is unable to cook for themselves and does not live with someone who is able to cook appropriate meals, other options may need to be considered. These options may include paid meal delivery services such as Silver Cuisine, free community programs such as Meals on Wheels, or using meal preparation services from a home care agency. How well is the individual able to move around on their own? Although many people are able to resume a normal level of activity following a heart attack, some people may experience weakness or fatigue. These symptoms may increase with depression or with medication reactions. If a person is not able to move around as they did before the heart attack, home care may be able to help them during their recovery. Things such as stairs, carpeting, poor lighting, large furniture, and other obstacles may present difficulties for people following a heart attack. Making sure the home environment is as safe as possible is an important part of recovery. Are they able to manage their medications? New medications following a heart attack can be overwhelming and confusing for patients. They may need helping managing medications, especially if they live alone or have any sort of cognitive or memory impairment. Health conditions such as diabetes, high blood pressure, and high cholesterol may require stricter management following a heart attack. This may be very overwhelming for people who are already managing the lifestyle and medication changes associated with a heart attack. A home care nurse may be able to help with the management of these other conditions. If an individual would not feel safe or comfortable alone in their home following a heart attack, home care may be the good option. A home care agency will help an individual adjust to all the lifestyle changes needed following a heart attack, monitor their progress, help manage medications, assist in cooking meals, and help manage any other conditions. This may help provide peace of mind for the individual and their family. If a physician does not feel that a patient needs a skilled level of care following a heart attack, this home care will not be covered by Medicare or by most insurances. A skilled level of care is generally one that requires the services of physical therapy, occupational therapy, or skilled nursing. Skilled nursing services include medical care such as wound care, tube feedings, or intravenous (IV) care. Medication management is not generally considered a skilled nursing service. Without a skilled need, home care will need to be paid for by Medicaid or private pay. There are several private pay options patients may look into. A hospital social worker or representative from the home care agency may be able to walk an individual and their family through their options. The individual's overall health, as well as the length of their heart attack recovery, may affect which payment option is the best choice. After a heart attack, an individual can meet with several home care agencies and determine which one best suits their needs. Different home care agencies provide different services and may be available for different lengths of time during the day. An individual selecting home care should make sure any specific needs they have such as meal preparation, housekeeping, late night visits, or diabetic management, are part of what the agency offers. In the event that it is not safe for an individual to return to their home following a heart attack, the individual may need to consider inpatient facilities such as skilled nursing facilities (SNFs) or assisted living facilities (ALFs). In a SNF, the patient’s length of stay will be determined by when the doctor overseeing their care at that facility feels it is safe for them to return home. For example, if a diabetic patient is having difficulty controlling their blood sugar levels and is extremely unsteady on their feet following a heart attack, they would likely stay at the facility until their blood sugar levels were back in an acceptable range and until they were no longer a fall risk. If hospital staff does not feel it is safe for a patient to return to their home alone, they will discuss this with the patient and their family before discharge. The physician or nursing staff will often provide the patient with a list of local facilities with beds available and should have information such as pictures or informational brochures to help with the choice. If possible, having a family member visit several facilities before hospital discharge can assist in the selection process. If this is not possible, reviewing facility options online may help the individual and their family get a better idea of what the facilities offer and if they would feel comfortable there. It can help an individual who is staying at a SNF to receive visits from friends, family, and caregivers. Seeing familiar faces may help with the healing process and provide needed encouragement. However, some people may not want to receive any visitors at all. They may feel embarrassed about being in a facility and may feel that visits are a distraction in their recovery process. Because all people are different, it is best to ask the individual in recovery what they would prefer and what would be most helpful for them. If an individual has a skilled need and a qualifying hospital stay following a heart attack, Medicare will pay 100% of an individual’s stay at a SNF for up to 20 days. Generally, if the physician treating an individual at the hospital feels it is unsafe for them to return home, there will be a need for skilled care. Patients and their families should make it a point to ask the physician if there is a need for skilled care, what that need is, and how long the physician expects this need to last so they may more accurately plan for a stay in a SNF. It is important to make sure the home care agency or long-term care facility that is selected for an individual’s care is the most appropriate for them. 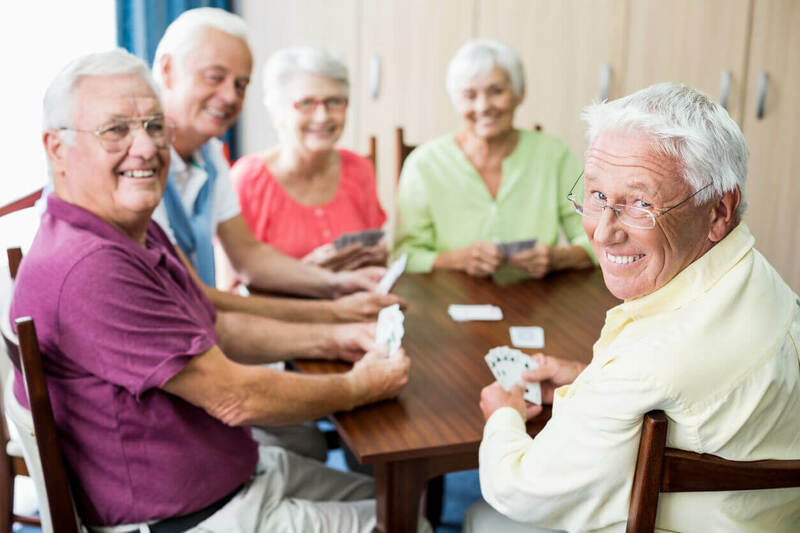 Interviewing home care agencies and touring long-term care facilities are steps individuals and their families can take to ensure they are comfortable with the decision they make. Caregivers should make sure to advocate for the individual receiving care. They should stay informed about what the healthcare team is doing and on any progress being made. It can help to observe how home care staff interacts with the individual or to visit the individual in the long-term care facility. Has the agency or facility treated people who are recovering from heart attacks in the past? How do former residents rate the facility or agency? This information can often be found online or by asking around in the local community. Is the agency or facility’s staff trained on what do when a person is having a heart attack? All staff should be CPR-certified and the facility or agency should be able to provide records of their certifications. Are heart-healthy meals served? If a home health agency will be preparing meals, it is important to make sure they follow the individual's diet restrictions. In a facility, dietary and kitchen staff need to be able to make meals that can accommodate a heart-healthy diet. Taking up new healthy lifestyle habits with the individual if possible. For example, it may be helpful for spouses to quit smoking together, for families to engage in routine exercise together, or for caregivers to also adopt a heart-healthy diet. After a heart attack, most people are able to return to their lives as they were before the event. However, in the event of a severe heart attack that results in further complications such as surgery, an individual may no longer be able to live independently. In these cases, long-term care, either at home or in a facility, may be required. Long-term home care is often a good solution for people who want to remain in their home but need assistance to do so. Long-term home care is not paid for by Medicare. An individual wishing to have long-term home care may need to use long-term care insurance, private pay, or Medicaid. If an individual cannot stay in their home following a heart attack, looking into long-term care facilities such as ALFs might be the safest choice. In an ALF, staff can assist with medication management and with ADLs. As with long-term home care, care in an ALF is not covered by Medicare. Different ALFs accept different forms of payment including Medicaid, long-term care insurance, private pay, or a combination of payment options. Care after a heart attack may be costly. An individual may need to apply for Medicaid, sell their home, use a reverse mortgage policy, take out a loan, or pay premiums for long-term care insurance. This can be overwhelming and financially draining. It may be helpful to set up a power of attorney and allow that person to take care of financial decisions. If the individual does not already have a living will, they may want to look into setting one up after a heart attack. A living will can protect them in the case of another serious medical event and ensure their wishes regarding their care are followed by medical professionals. While researching the costs of medical and/or long-term care after a heart attack, it may also be a good idea to set up a funeral trust to begin prepaying for funeral costs. 1. Why does heart attack recovery involve so much physical activity? Shouldn’t a person be resting? Years ago, patients who had a heart attack were encouraged to rest in bed, sometimes for as long as 12 weeks. Now, doctors know this much inactivity can actually weaken the heart muscle. The heart is a muscle and like all muscles, it needs exercise to be strong and healthy. A person recovering from a heart attack needs to strengthen their heart in order to prevent greater damage or future heart attacks. 2. What kinds of exercises are people expected to do in rehab? In a cardiac rehabilitation program, therapy staff working with a physician will determine the most appropriate exercises for each person. These exercises can build with time and do not have to be intimidating. Walking is one of the most effective exercises a person can do for overall heart health and a rehabilitation team can help a person build the endurance to walk for longer distances and greater amounts of time. 3. Can a person have more than one heart attack in their lifetime? Yes. Once a person has had a heart attack, they are at an increased risk for a second heart attack. By taking medications as prescribed, staying active, eating a heart-healthy diet, and making any needed lifestyle changes such as quitting smoking, a person may significantly reduce the risk of another heart attack. 4. What are the risk factors associated with a heart attack? Advanced age - people over 65 years are at greater risk of dying from a heart attack. Gender- men are at a greater risk than women. Race - African Americans, Mexican Americans, American Indians, some groups of Asian or Pacific Islanders, and Native Hawaiians are at a higher risk of heart disease than other racial groups. Genetics - a family history of heart attacks may increase a person’s chances of a heart attack, especially if the heart attack occurred in a relative under 65 years of age. An inactive lifestyle - the American Heart Association recommends staying active to promote heart health. Being overweight - excess weight may increase a person’s risk of a heart attack even in the absence of other risk factors. Smoking - smoking may increase one’s risk of heart disease up to 4 times. High blood pressure - the heart is under increased strain in individuals with high blood pressure which may lead to heart disease, heart attack, and stroke. High cholesterol - cholesterol builds up in the artery walls, leading to heart attack. Uncontrolled type-2 diabetes - spikes in blood sugar can put additional strain on the heart. By leading a healthy lifestyle and controlling the risk factors that can be changed, a person who possesses non-controllable risk factors may greatly reduce their overall risk of a heart attack.